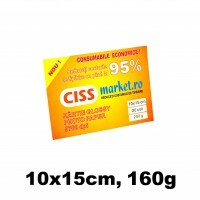 Top 20 coli 10x15cm Hartie Glossy Photo Paper, 160 g / mp. Top 20 coli 13x18cm Hartie Glossy Photo Paper, 160 g / mp. Top 20 coli 13x18cm Hartie Glossy Photo Paper, 200 g / mp. Top 20 coli 13x18cm Hartie Glossy Photo Paper, 240 g / mp. 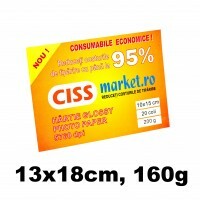 Top 20 coli A4 hartie CISSmarket Glossy Photo Paper, 160 g / mp. Top 20 coli A4 hartie CISSmarket Glossy Photo Paper, 200 g / mp. 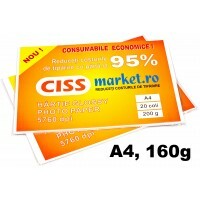 Top 20 coli A4 hartie CISSmarket Glossy Photo Paper, 240 g / mp. Top 20 coli A3 hartie CISSmarket Glossy Photo Paper, 200 g / mp.